Project Managers are Overachievers: Here’s Help! When I started learning about project management, for once in my life I started finishing things. Projects were being completed! Project management provided me with a system to get what I needed done, done. The downside of this newfound superpower was that I started to confidently embrace projects with wild abandon. Quickly I realized that I had taken on too much work. Even after realizing I had too much to do, today I’m a VP for our family business, blogger, author, podcaster, and the husband and father of three. I confess. I’m an overachiever. I’m also pretty confident that this is a common trait to most of us in the Project Management profession. In today’s episode of the Project Management for the Masses Podcast I enlisted the help of Jen Gresham. Jen is a PhD scientist turned writer and coach. She helps overachievers find the clarity and courage they need to design a life they love–whether that means defining success for themselves, changing careers, or simply finding the courage to live life on their own terms. 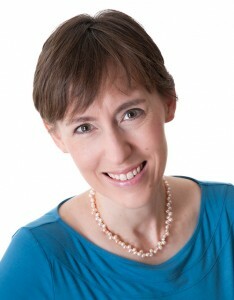 She is the founder of the No Regrets Career Academy and the author of the popular blog Everyday Bright. Listen to my conversation with Jen Gresham by pressing the “play” button above this post. 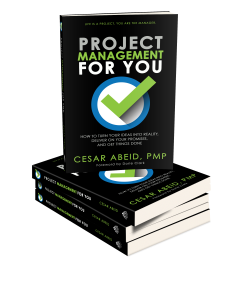 I’d like to give you a quick update on my book, Project Management for You. As I publish this episode I am holding in my hands the second proof copy that I received from the printer yesterday. There are just a few minor corrections to be made. It looks pretty good! I believe before the end of this week I’ll be able to give them the go ahead to print the book, which I should receive a few weeks thereafter. If you’d like to guarantee a fresh copy off the first print, be sure to preorder the book here.